Perhaps the most nerve-wracking and intimidating part of any sales job interview is the beginning. You want to get off to a good start and develop a rapport with the interviewer. More importantly, you want to make a memorable first impression. We all want to make a great first impression, but do you know how? It’s not just the recruiter you need to worry about impressing. You need to make a good first impression on everyone you encounter. The door person, reception, employees you pass in the hallway, and everyone with whom you engage during your time with the company. Don’t think that the recruiter won’t ask others what they thought about you. Remember, your job interview starts the second you walk through that door. You never get a second chance to make a good first impression. You hear this popular advice, or a version of this, all the time. And it’s right. Even if you have a sparkling resume, meet all the job requirements and know you are a great candidate for the job, if you don’t make a good first impression, you could sink your chances of getting a call back. Research shows that people make a judgment call about you within seconds of meeting you, and it can influence their hiring decision. “The fact is that when you first meet a person, they make a judgment about you in approximately four seconds, and their judgment is finalized largely within 30 seconds of the initial contact,” says Brian Tracy. In a survey of the members of the American Personnel Consultants, those men and women who are responsible for hiring people for large companies, their members generally agreed that they made a hiring decision person within 30 seconds of the first meeting. This should go without saying, but it’s vital you show up on time, prepared and ready for your interview. If you have a 1 p.m. interview and you show up at exactly 1 p.m., it’s pretty much the same as being late. The interview starts at 1 p.m., so be there about 15 minutes early. This will give you time to check in and mentally prepare. If you come in late, you could become flustered and not as prepared as you could have been. When you are in the waiting room, be ready to stand up and walk in the room to be interviewed. The first few seconds of your interaction with a person matter. So, make them count. Non-verbal cues matter just as much, if not more, than verbal ones. Make eye contact, have a firm handshake, smile, maintain good posture, and be energetic. One of the first things people notice about you is your clothing. It’s important to not only match the company’s dress code but also dress with confidence. Wear clothing that makes you feel and look good and it will show. It’s also important to wear things that show signs of who you are. It’s okay to add some personality into what you wear. But, remember, everything you wear says something about you – including your hair, makeup, facial hair, jewelry, accessories, and shoes. Making eye contact with everyone you speak with allows you to connect. It shows you are confident and it allows others to see who you really are. It’s a great way to build rapport and trust. Maintain regular eye contact throughout the job interview. Your handshake can say a lot about you. A strong and firm handshake communicates strength, confidence, and character. A flimsy handshake connotes weakness and self-doubt. If possible, spend some time researching the people with whom you will be interviewing. Make sure you know the interviewer’s name and learn as much about them as you can. When you know who you are meeting, you can reduce some of the stress related to the interview itself. More importantly, you’ll have information you can use to connect with them during the interview, especially when it comes to small talk. While it may seem innocent, small talk is a very important part of the sales job interview process. Being able to expertly have a great conversation as you settle in for the interview can build rapport. It helps you build chemistry and shows your personal side. If you can’t have a decent conversation about the weather, traffic, last night’s game, or other common small talk topics, an interviewer could question if you are someone they would want to work with and have as part of the team. No one wants to hear their phone ring or have a notification go off during the interview. The recruiter may see this as rude. It could also distract you and cause you to lose your train of thought. Turn off your phone ringer before you enter the building and put it away once you reach the waiting room. One of the first questions you’ll be asked will be some version of “tell me about yourself.” It’s important to have a well prepared and succinct statement about who you are personally, professionally, why you are interested in the job and how you are qualified. The key is to be engaging and make your answer memorable. Think about it as telling a short story about yourself and not just listing off your career accomplishments. 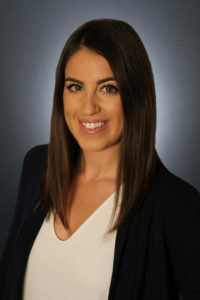 Kourtney is a top performing Sales Recruitment specialist focused on helping clients hire the best sales candidates in the market. With 4+ years of experience, she specializes in recruiting Rockstar Sales Producers and Sales Leaders across North America. With a personal background in Telecom Sales, Kourtney knows what separates a good salesperson from a great one. On weekends you’ll find her skiing, golfing, and working out.